Hotel Casa Maya will make available the best guest room \ price for the hotel (the "Best Price Guarantee"). " Hotel Casa Maya Website" are the websites owned or operated by or on behalf of Hotel Casa Maya bearing the logo and branding of Hotel Casa Maya. 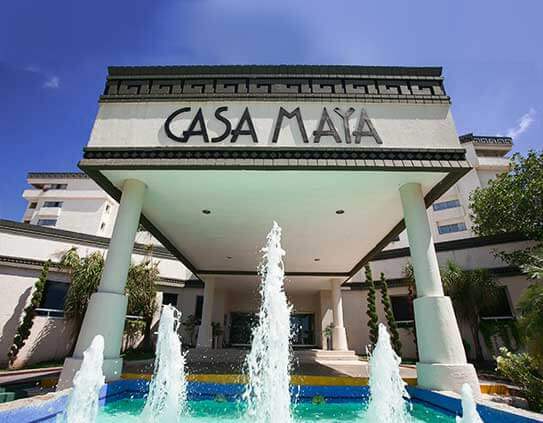 In the unlikely event that a lower price at Hotel Casa Maya is made available on a non-Hotel Casa Maya website (the "Competing Price"), upon its receipt of a claim that satisfies these Best Price Guarantee terms and conditions (the "BPG Terms"), Hotel Casa Maya will honor that Competing Price and provide the individual that submitted the valid claim one of the following: (1) an additional 10% discount off the Competing Price per room per night; or (2) a voucher that the guest can use during their stay, the amount of the voucher will be equal to the difference between the original reservation rate and the competing price. The claim must be submitted prior to, or within 24 hours after, making a reservation through a Hotel Casa Maya Website, and at least 24 hours before the standard check-in time at Hotel Casa Maya. A claim may be rejected by Hotel Casa Maya if it is incomplete or concerns a non-Hotel Casa Maya website. For the Competing Price to be valid, it must be a currently available lower published online room price for Hotel Casa Maya, the same stay dates, the same number of guests, the same room type, with a similar view and room size, and include similar or additional value-added amenities (e.g., free breakfast). Hotel Casa Maya will compare the total room cost of a stay, and multiple claims for a stay consisting of two or more nights in the same week at the same Hotel Casa Maya. Hotel Casa Maya will convert any Competing Price offered in a different currency than the price made available through the Hotel Casa Maya Website, and may deny claims where it determines that the difference between the price is due to exchange rate fluctuations. The estimated value of value-added amenities (e.g.,free breakfast, use of Wifi, vouchers) offered as part of a Competing Price will be excluded from the price comparison, and will not be provided by Hotel Casa Maya when honoring a lower price. Hotel Casa Maya may deny claims where the difference between the Competing Price and the price on the Hotel Casa Maya Website is less than one percent. The Best Price Guarantee does not apply to existing reservations that are not booked through a Hotel Casa Maya Website, and Hotel Casa Maya is not responsible for any fees associated with cancelling a reservation made through a different channel (e.g., a call center, a non-Hotel Casa Maya website). If a valid Best Price Guarantee claim is submitted without an existing reservation, the individual making the valid claim will be contacted by HHotel Casa Maya and must make a reservation in the manner communicated by Hotel Casa Maya within 24 hours from receipt of the communication or local check-in time at Hotel Casa Maya Hotel. Failure to make a reservation in the required time period will invalidate the claim. The Best Price Guarantee will be suspended during times where the Hotel Casa Maya Websites or certain prices are not available due to an outage, a technical issue or a circumstance beyond Hotel Casa Maya\'s reasonable control. Hotel Casa Mayahas the sole right and discretion to determine the validity of any claim and will not review documentation provided by the individual submitting a claim as part of its validation process. Hotel Casa Maya reserves the right to deny a claim, if it cannot independently verify the availability of a Competing Price at the time it processes the claim. Hotel Casa Maya may at any time and without notice terminate or restrict a person\'s ability to submit a claim under or otherwise benefit from the Best Price Guarantee, if in its sole discretion Hotel Casa Maya determines that such person has: (1) acted in a manner inconsistent with applicable laws or ordinances; (2) acted in a fraudulent or abusive manner, (3) submitted multiple invalid Best Price Guarantee claims; (4) failed to stay at Hotel Casa Maya Hotels after receiving approved Best Price Guarantee Claims; or (5) breached any of these BPG Terms. Any disputes arising out of or related to the Best Price Guarantee or these BPG Terms shall be handled individually without any class action, and shall be governed by, construed and enforced in accordance with the laws of Hotel Casa Maya. Void where prohibited by law. Hotel Casa Maya reserves the right to amend, revise, supplement, suspend or discontinue the Best Price Guarantee or these BPG Terms at anytime in its sole discretion and without prior notice. En Hotel Casa Maya podrás Hospedarte en un ambiente 100% Familiar y relajado, con una hermosa vista del Caribe Mexicano. Rodeado con amenidades pensadas para usted y su familia. Disfrute de la facilidad de estar cerca de lugares donde puede pasar horas de esparcimiento. Esto es lo que obtienes cuando te hospedas en nuestro hotel, un excelente lugar para disfrutar de las vistas y actividades de Cancun. Encontras un cálido do refugio del Caribe Mexicano que te ofrece nuestro hotel. El mobilario y amenidades en nuestras habitaciones ofrecen relajación y privacidad total. Disfrute de todas las comodidades del hogar frente al mar caribe. Los colores y temas neutros y pastel de nuestras habitaciones contribuyen a crear un ambiente de descancso y paz. Todo dentro de nuestro hotel nos invita a vivir una experiencia inolvidable y disfrutar de la excelente atención y servicio que brinda nuestro staff para consentirle como usted y su familia se merecen. "5.5 Km from the city. Great place to stay. Easy to use the bus service to go around. Friendly crew, very attentive. Good breakfast, nice friendly waiters, tip at least a $1 a day. Nice (a bit small, short toward the deeper sea) beach with a lot of palapas and umbrellas. Pools for the ones with the kids or to stay away from the beach. Taxi service always available, ready, waiting..."
"We love this hotel. It may not be luxurious and new, but they keep it very clean and that's what really Matters the most. The breakfast is the most delicious one I've ever had in my life. You have an option of buying meal tickets for breakfast and dinner and also for drinks. They have entertainment most of the nights, which is very good and the bar is always packed... "
"It was a really good stay, comfortable and pleasure. The employees and staff were very friendly and aware of all the features and accommodations. The Hotel offered a really good deals for tourism, entertainments,Park, attractions, clubs, etc." "We have been going annually to Cancun since 1992. We looked at at least 10 other Resorts before buying here at the Casa Maya. I don't believe all of the rooms have been updated, but they have a new Elite section. We paid a little bit more to have this upgraded room but you get a continental breakfast and an evening snack that's almost as much as a meal..."
"This was our families third stay here. It’s one of the few non-all inclusive resorts in Cancun. Our room was huge, the staff is always friendly and seem to always remember my girls when we arrive. The views from the rooms are beautiful. The beach on site is soft, white sanded and framed by crystal blue waters. Which at night are the scene of pirate ships providing fun entertainment to those on board..."
"We have been coming to Casa Maya Cancun as owners for 5 years. So pleased to see the renovations and improvements. We know this will be a favorite destination for us for many years. Food and drinks are excellent. Enjoy the vendors selling local wares on the property. The property is exceptionally clean and the staff is extremely helpful and friendly." "Food was great as well as the service . Staff was accommodating and friendly and polite. As always everything was excellent . I would differently refer my family and friends.. I love Casa Maya’s beach the water is always clean. Most importantly considering the uprise in crime I felt safe at the Casa Maya"
"We returned yesterday from Casa Maya after spending a very enjoyable, pleasant and competely relaxing stay of 8 days. Although it's located between the two thriving hubs of Punta Cancun and the city, this is part of it's beauty, as the pace of life here is more relaxed. The check in was prompt and efficient, and Misael was extremely helpful, as was Oscar in answering all our questions..."
La comodidad y el confort son muy evidentes en nuestras amplias y elegantes habitaciones. La vista al mar o laguna que viene con cada habitación, es un refrescante placer para los sentidos. Si usted es un viajero de ocio o un huésped de negocios, usted encontrará los servicios más adecuados para sus necesidades. Cada habitación está equipada con una caja fuerte para guardar sus objetos de valor seguro cuando este disfrutando de la playa o al explorar la ciudad. 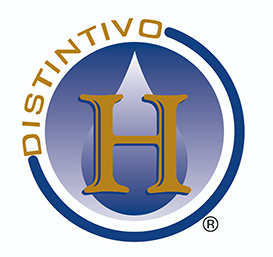 Contamos con suficientes instalaciones para mantenerte consentido y ocupado durante tu estancia. Aparte de la cafetería de internet, piscina y Jacuzzi, también tenemos un Club de playa donde podrá disfrutar de un buen rato bajo el sol. Para ese apetito voraz nunca se sentirá decepcionado ya que con nuestra amplia selección en la cocina en nuestros restaurantes y bares llenaremos sus expectativas. También contamos con zona de juegos para los niños manteniéndolos entretenidos y a salvo mientras te diviertes. Nos encontramos justo en el centro de la zona hotelera de Cancún, la accesibilidad es un privilegio que los huéspedes de nuestro hotel podrán disfrutar. Se puede caminar sólo desde un punto de acceso a los otros y directo al hotel sin tener que tomar ningún medio de transporte. Puede llegar al campo de golf, restaurantes y centros comerciales en cinco minutos a pie si estás de humor para aventurarse fuera del hotel. Asegúrese de usar protector solar para proteger su piel contra el sol del Caribe. precio todos son atendidos con un trato alegre, respetuoso y cordial.